The Summer Reading Kickoff and Book Sale will be held June 2 from 9:00 am–5:00 pm (book sale open until 6:00 pm). Each person who registers for the Summer Reading Program at the kickoff will receive a voucher for one free book at the book sale (voucher good for June 2 only). Get your entire family registered for our Summer Reading Program and build your home library at the same time! Anyone who signs up for the Summer Reading Program will receive a voucher for one free book at the Library Book Sale. Sign up at the library or online at home beginning June 2, 2018. Any Provo City Library cardholder in good standing is eligible to participate. Note: 12 and 18 year-olds can choose which program to enter. 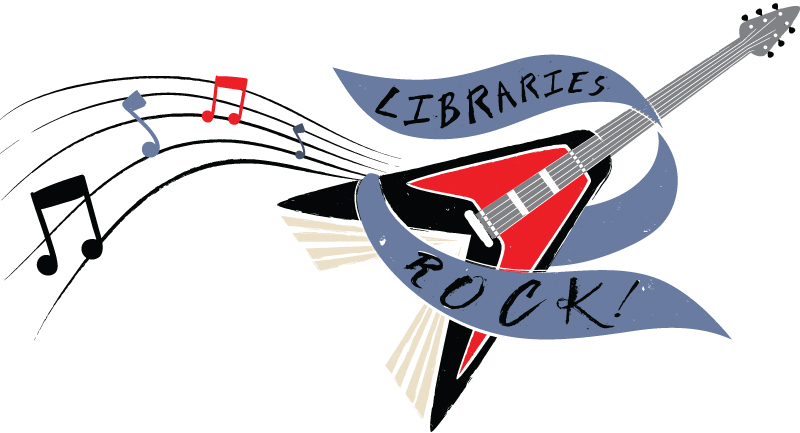 Lil' Rockers, Rock n' Rollers, and Rock Stars: Set a reading goal and record your progress online. Teens/Adults: Read and review a minimum of 4 books (each book 100+ pages) this summer to win a keychain and be entered in the Grand Prize Drawing for a $300 Amazon gift card. To win more prizes, continue reading books, attending library programs, and completing Activities! The more activities you complete. The more library programs you attend. THE MORE PRIZES YOU CAN WIN! Activities designed to explore reading, highlight library resources, perform services, and to just have fun. A list of Activities can be found HERE, or on your Summer Reading account. There are dozens of interesting and fun Library Programs scheduled throughout the summer. A complete list of library programs can be found under the Programs tab on our website, or find more information on the Library’s online calendar. Badges are unlocked by logging books/minutes, completing Activities, and attending Library programs. Enter a secret code picked up after attending a Library program or completing an activity at the Library. Complete an Activity. A list can be found after logging into your Summer Reading account. Check out a list of possible Summer Reading Activities, as well as a brief description of each one HERE.